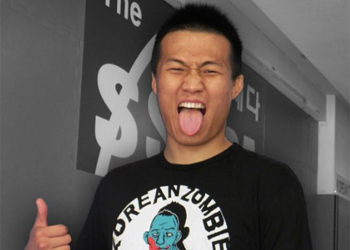 “The Korean Zombie” (Pictured) hardly speaks a lick of English, but Chan Sung Jung’s tweets can be easily understood without the use of a translator. On Friday, the UFC featherweight decided to take to the blue-birded network and call out the division’s king. Jung’s post is merely wishful thinking at this stage. Aldo was slated to defend his throne against Erik Koch next month at UFC 149, but the champ was recently sidelined with an undisclosed injury. Koch, however, maintains his top contender status and gets next dibs when Aldo returns from the IR. This marks the second time in a month that Jung has called for “Scarface.” After serving up an upset special over Dustin Poirier, his third consecutive victory inside the Octagon and second straight over a top tier 145-pounder, he requested a tango with the Brazilian. UFC president Dana White didn’t disagree with the matchup, as he stated the during event’s post-fight press conference that Jung may have punched his championship ticket by submitting Poirier. Still no word on when Aldo will be back in action.